I am taking part in the Photo-a-Day challenge again this month. 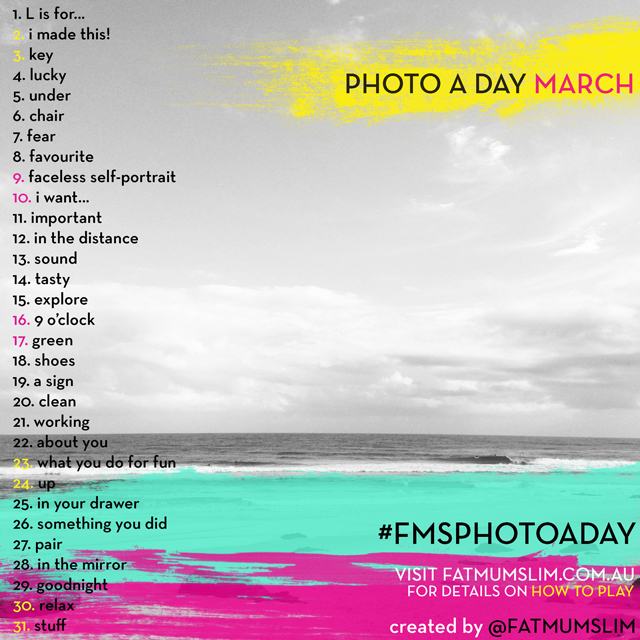 Here is the inspiration list for March's photos.The challenge is from Chantelle at Fat Mum Slim. once again she has shared a great list with us. You can play along using Instagram, Streamzoo, Twitter or on your own blog. I am going to take a photo a day and you can see them here at Streamzoo. Enjoy and happy snapping.